Children with Cancer UK, CEO Cliff O’Gorman had a letter published in the Guardian newspaper (5th July 2017) in response to the Chief Medical Officer’s report on about DNA testing for cancer patients. Below is our blog on the exciting news that Prof Dame Sally Davies calls for a gene testing revolution. 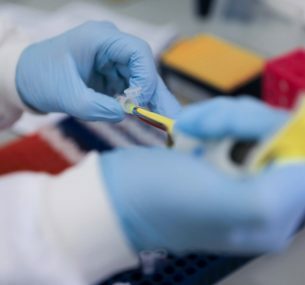 There was welcome news this morning (4th July) as England’s chief medical officer Prof Dame Sally Davies said in her annual report that cancer patients should be routinely offered DNA tests to help select the best treatments for them. Precision medicine has huge potential for treating cancer in a kinder, more effective way, through better targeted chemotherapy, introducing advances in immunotherapy and using other evolving technologies. This is particularly crucial for children and young people, where the toxic treatments used to save lives can take a heavy toll. However, progress in the UK has been lagging behind parts of Europe and the USA – largely due to a lack of development funding in the NHS. That is why charities like ours are funding pioneering work to put in place the infrastructure that we need for rapid sequencing of tumour DNA and drive forward the implementation of precision medicine. We are proud to be leading the way – in March we announced a ground-breaking £1.5m funding to advance Precision Medicine in the UK, and make this field of treatment a reality for children and young adults diagnosed with cancer. The ambition is to get Precision Medicine off the ground in the UK so it can be adopted nationally, available for every young cancer patient who would otherwise face less effective, more toxic treatment. Prof Dame Sally Davies has said that the NHS must deliver her “genomic dream” within five years. To do this, we need the NHS and pharmaceutical companies to now work proactively to move the latest in medical science into clinical practice, and support our ambition to ensure all children and young people diagnosed with cancer in the UK have access to precision medicine through the NHS within the framework of clinical trials by 2020.